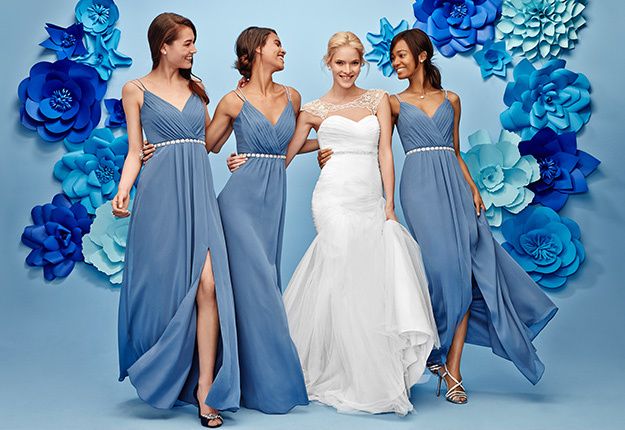 Our slightly stretchy jersey fabric drapes beautifully and gives your look a hint of shine. 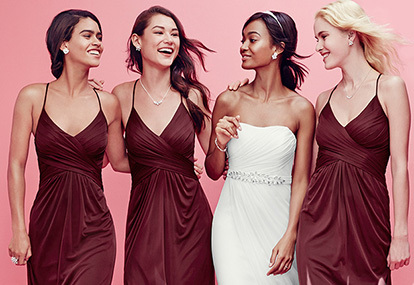 This dress starts with two long front ties that become your bodice, straps, and neckline. With backless lingerie, the possibilities are endless. Get this long style in 12 colors. 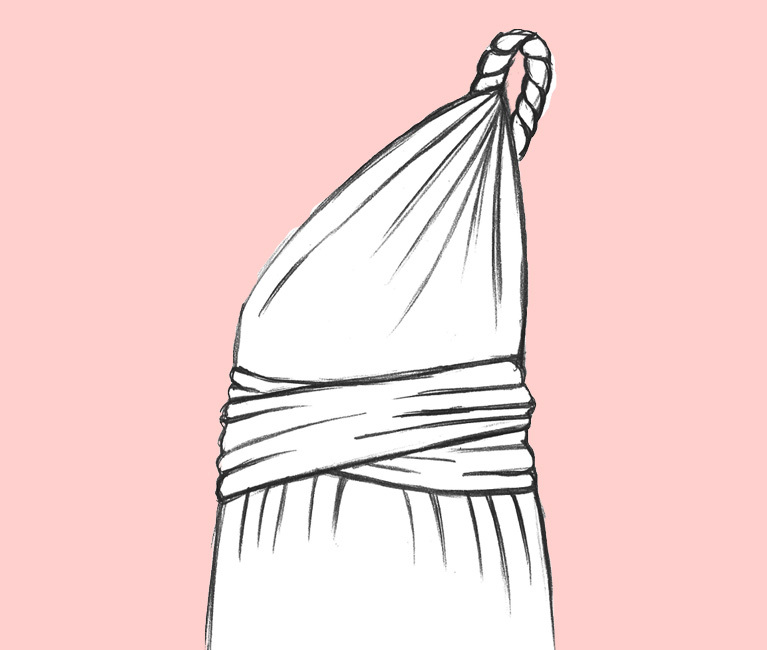 Drape the right tie over the right shoulder. Bring the left tie across the bust to the right and around to the back. Bring the right tie across the bust to the left and around to the back. Cross the ties in the back and the front, then knot together in the back. 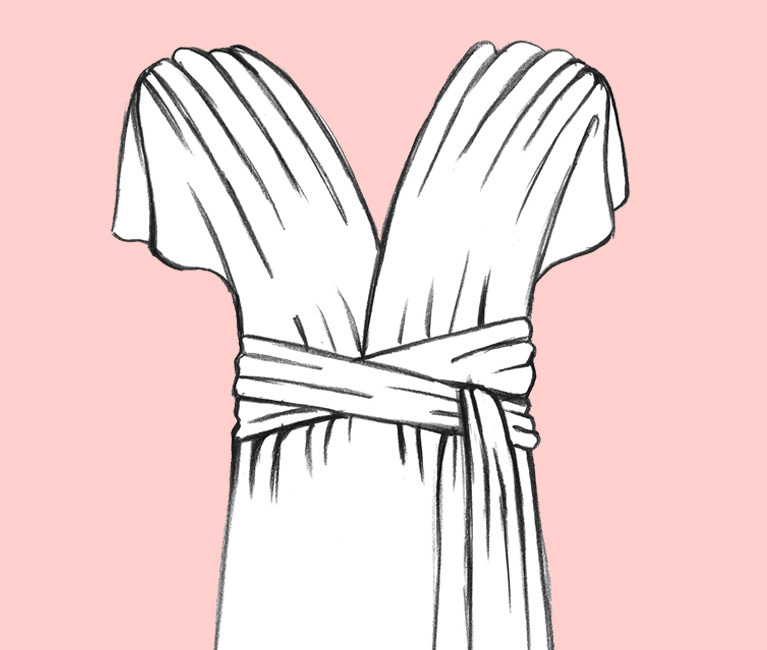 Drape the ties over the shoulders. 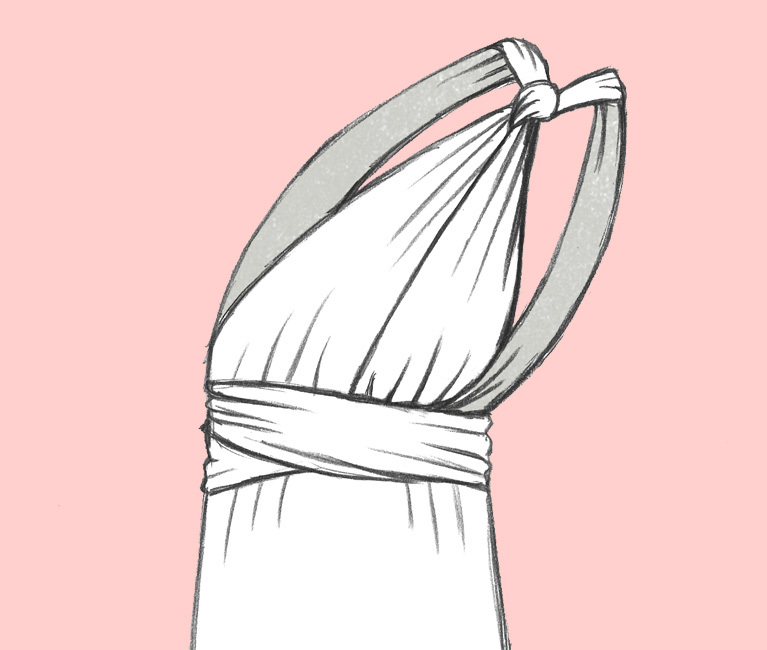 Starting above the bust, twist the ties inward twice, then fan out the fabric to cover the shoulders. Crisscross the ties mid-back, then wrap them around the waist, crossing in the front, and knot together in the back. Drape the ties over the shoulders and fan out the fabric. Cross the ties in the back to form an X. Wrap them around the waist, crossing in the front and the back, then knot together in the front. 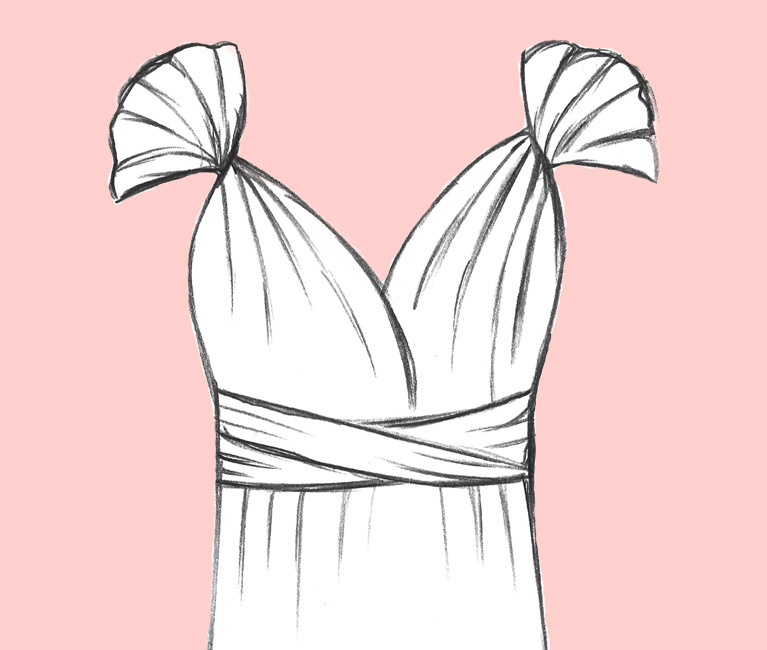 Drape each tie over the opposite shoulder. Starting at the nape of the neck, twist the ties together until you reach mid-back. 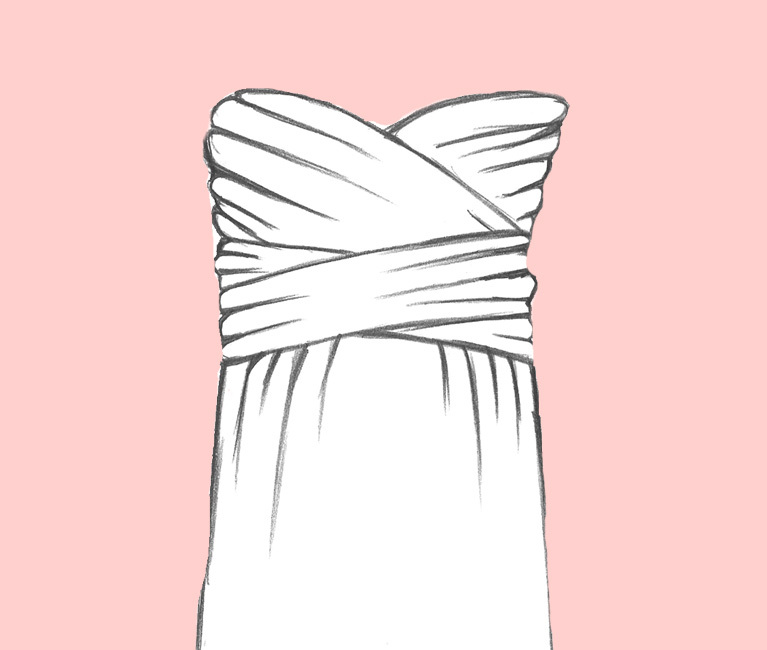 Separate them and bring one around each side of the waist, crossing in the front, and knot together in the back. 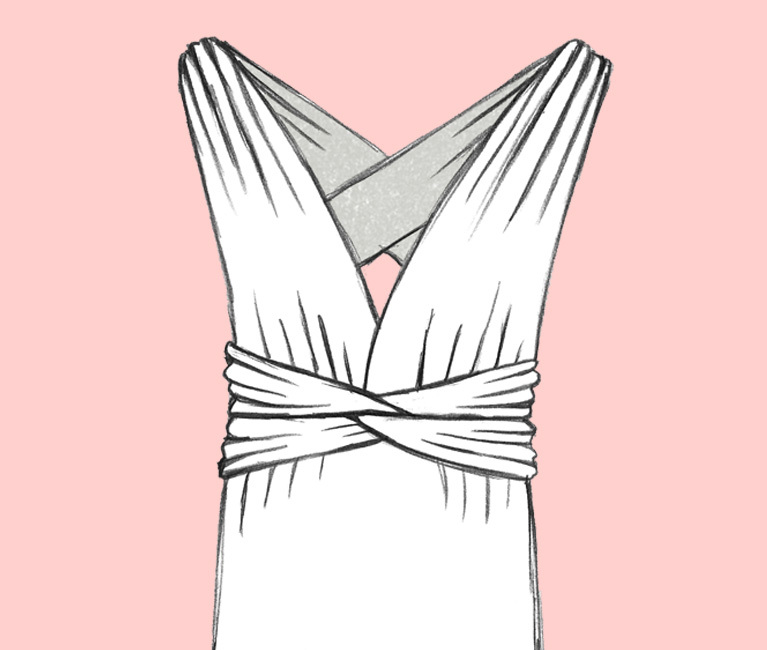 Bring the ties to the neck, knot together, then drape one over each shoulder, forming an X. Knot the ties together mid-back and bring one around each side of the waist, crossing in the front, then knot together in the back. Drape both ties over one shoulder. Twist the ties together until you reach the waist. 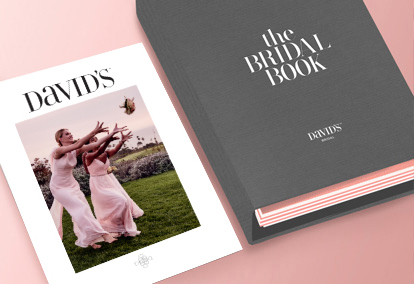 Separate them and bring one around each side of the waist, crossing in the front, then knot together in the back. 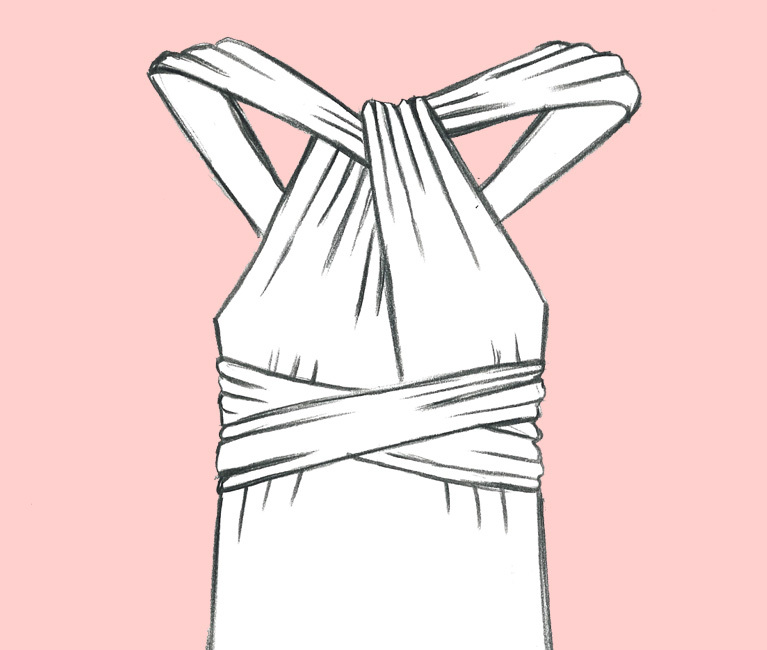 Drape both ties over one shoulder and knot together. Bring one tie across the back to the other side of the waist, and bring the other tie straight down to the waist. 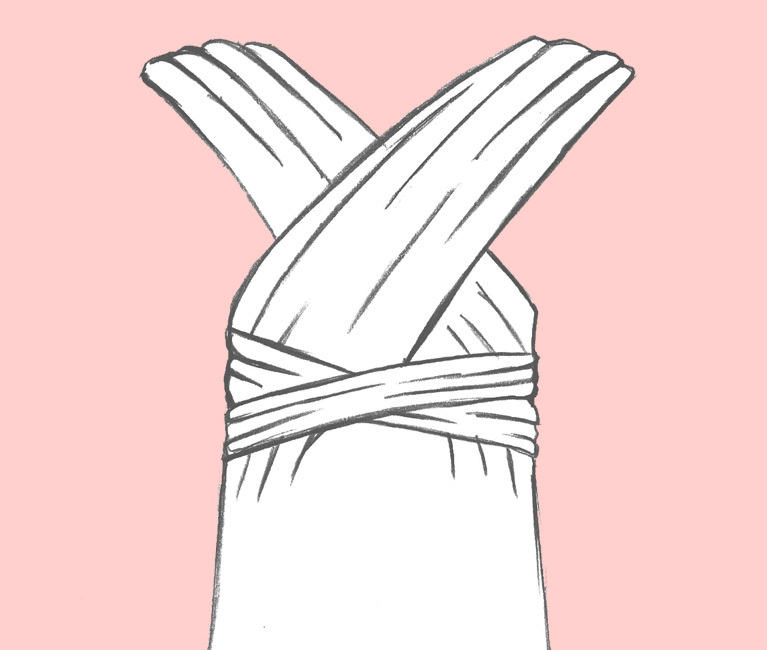 Wrap both ties around the waist, crossing in the front, and knot together in the back. 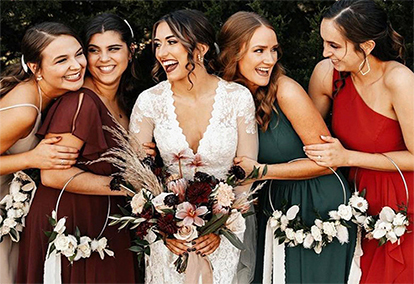 Drape the ties over the shoulders and cross in the back to form an X. Wrap the ties around the waist, crisscrossing in the front, and knot together in the back.